wowww such a great tour. 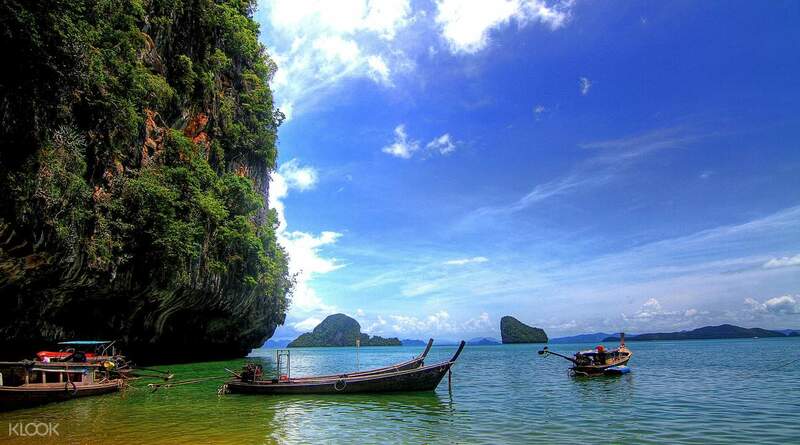 I really recommended this tour when you visiting krabi. I choose a tour with kayaking and really it's so amazing. You can kayaking through the lagoon and see the beautiful scenery. really awesome. I feel very satisfied and our guide was very good in speaking English. He's very helpful and friendly. It's nicer to go with longtailboat. Hong island is very beautiful. 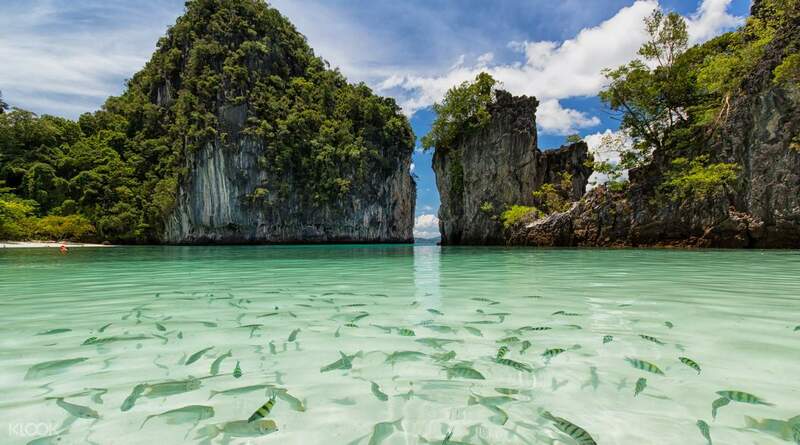 Explore Thailand's island paradise in Krabi with a visit to Hong Islands. Belonging to the National Marine Park, this stunning four-island archipelago is just twenty minutes away from Ao Nang by speedboat. With a mesmerizing backdrop of Phang Nga Bay, the islands have rightfully earned their title as some of the most beautiful in Thailand. Hong is literally translated as "room" from Thai — and for a reason: the islands are secluded and in the centre is a lagoon completely surrounded by cliffs. You will be able to enjoy complete privacy, crystal clear water and sunny sandy beaches away from crowds of tourists so you can truly relax. wowww such a great tour. I really recommended this tour when you visiting krabi. I choose a tour with kayaking and really it's so amazing. You can kayaking through the lagoon and see the beautiful scenery. really awesome. I feel very satisfied and our guide was very good in speaking English. He's very helpful and friendly. It's nicer to go with longtailboat. Hong island is very beautiful. wowww such a great tour. I really recommended this tour when you visiting krabi. I choose a tour with kayaking and really it's so amazing. You can kayaking through the lagoon and see the beautiful scenery. really awesome. I feel very satisfied and our guide was very good in speaking English. He's very helpful and friendly. It's nicer to go with longtailboat. Hong island is very beautiful. 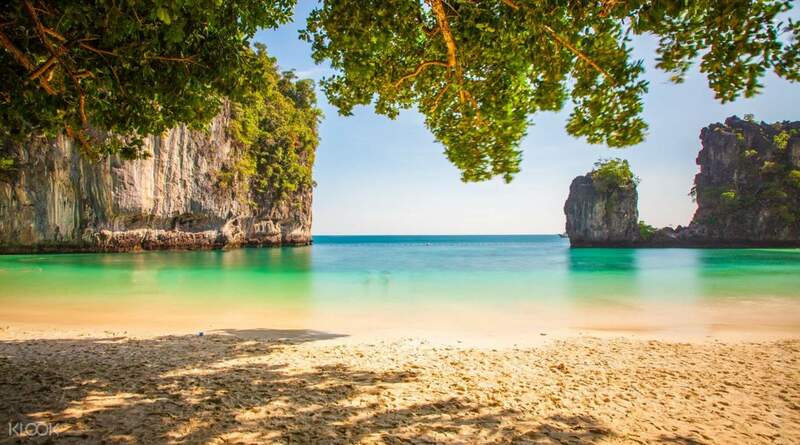 Beautiful islands, well taken care of and plenty of time to chill at Koh Hong. We stopped by several spots before the Koh Hong and overall it is a great experience without any rushing. I have read this trip is more relaxed and less crowded than the four island one and that is why I chose this trip. 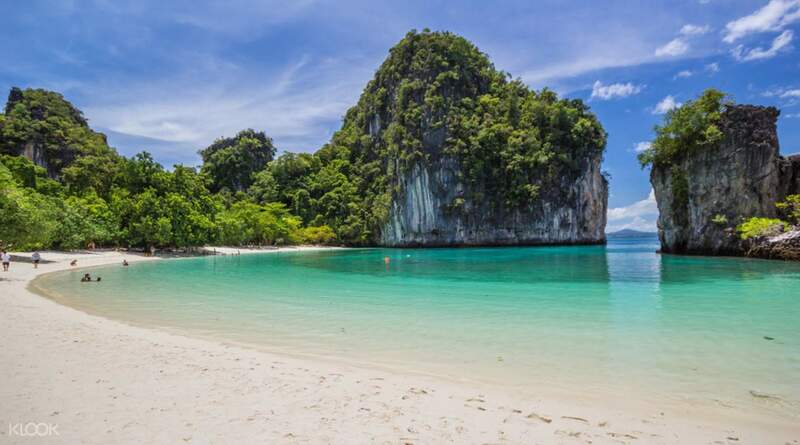 Beautiful islands, well taken care of and plenty of time to chill at Koh Hong. 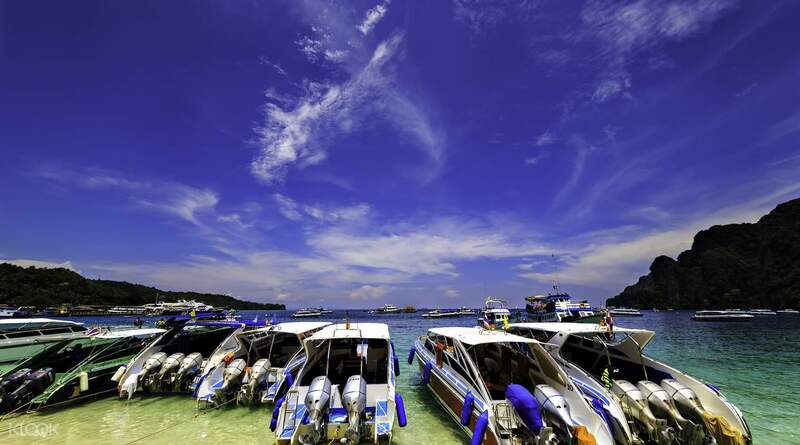 We stopped by several spots before the Koh Hong and overall it is a great experience without any rushing. I have read this trip is more relaxed and less crowded than the four island one and that is why I chose this trip. Very good tour! You will see different and many nice islands than on 4 islands tour. I highly recommend taking speedboat which is much faster than Longtail boat. You get to the islands faster and can spend longer time to swim and snorkel. Pick up and return to hotel was on nice vans. I followed up by email to check what time I will be picked up and got email reply with time period. Speedboat was full so some of us had to sit on the open front area. Sun was very hot there but you get a nice view of the islands you pass by. They set up a picnic lunch with rice, chicken dish, noidle with veg, juice, cookies and fruits for dessert. It was good lunch with good quantity so one can have second, third and even more serving. Very good tour! You will see different and many nice islands than on 4 islands tour. I highly recommend taking speedboat which is much faster than Longtail boat. You get to the islands faster and can spend longer time to swim and snorkel. Pick up and return to hotel was on nice vans. I followed up by email to check what time I will be picked up and got email reply with time period. Speedboat was full so some of us had to sit on the open front area. Sun was very hot there but you get a nice view of the islands you pass by. They set up a picnic lunch with rice, chicken dish, noidle with veg, juice, cookies and fruits for dessert. It was good lunch with good quantity so one can have second, third and even more serving. amazing experience with klook. on time pickup and drop. well coordinated. lunch at 11 . bit early but manageable. vegetarian option too. English speaking guide. some tasty pineapple and watermelon also during the ride. snorkeling kit provided. beautiful islands . one of the must see. hong island especially beautiful. ride was filled with amazing views 360 degree. price is quite reasonable for the tour. amazing experience with klook. on time pickup and drop. well coordinated. lunch at 11 . bit early but manageable. vegetarian option too. English speaking guide. some tasty pineapple and watermelon also during the ride. snorkeling kit provided. beautiful islands . one of the must see. hong island especially beautiful. ride was filled with amazing views 360 degree. price is quite reasonable for the tour. Pickup was on time for me. First stop was Lagoon, while we stayed at boat and do sightseeing and photographs. Then we moved on to a beach (forgotten the name) where we are given 30 minutes for swimming. You can't see any fish or corals underwater. Third stop is Paradise, where we are given 30 minutes to swim and snorkel here. I saw a school of barracudas. Then we had lunch in Paradise and move on to Koh Hong. It's a beautiful place! I snorkeled in both sites of Koh Hong. I saw a red coloured baby shark (not sure what's the name), barracudas, nemo fish, and really colourful and huge corals. This place is so much better than Phiphi for people who love snorkeling. We left Koh Hong at 2.20pm and arrived at our hotel about 3pm. Pickup was on time for me. First stop was Lagoon, while we stayed at boat and do sightseeing and photographs. Then we moved on to a beach (forgotten the name) where we are given 30 minutes for swimming. You can't see any fish or corals underwater. Third stop is Paradise, where we are given 30 minutes to swim and snorkel here. I saw a school of barracudas. Then we had lunch in Paradise and move on to Koh Hong. It's a beautiful place! I snorkeled in both sites of Koh Hong. I saw a red coloured baby shark (not sure what's the name), barracudas, nemo fish, and really colourful and huge corals. This place is so much better than Phiphi for people who love snorkeling. We left Koh Hong at 2.20pm and arrived at our hotel about 3pm. We had 3 other stops before our final stop at Koh Hong. The places the guide, June, brought us to, were simply serene and beautiful. We had snorkelling at open sea area, the waters was much clearer and you can even see the fishes from the boat. It was an enjoyable afternoon overall. We had 3 other stops before our final stop at Koh Hong. The places the guide, June, brought us to, were simply serene and beautiful. We had snorkelling at open sea area, the waters was much clearer and you can even see the fishes from the boat. It was an enjoyable afternoon overall. Pick up on time. Beautiful day on fantastic islands scenery despite jellyfish. Lunch was good and the ride on the longtail boat was a nice experience. Pick up on time. Beautiful day on fantastic islands scenery despite jellyfish. Lunch was good and the ride on the longtail boat was a nice experience.